In love with the idea of a Florida destination beach wedding? Well did you know 2/3 of Florida is along the coast? We’re talking 1,300 miles of beach! So that puts Florida on the map for largest coast in the contiguous United States. So just which beach should you choose for your beach wedding location? While all these cities are vying for the #1 beach wedding location, every beach is unquestionably going to be an amazing experience. So take a look and see which beach matches your dream wedding scene. Read on to find out all about the Gulf Coast Beaches of Florida. And don’t forget to check out Best Beach Wedding Locations in Florida – East Coast Edition too! Travelor’s agree that this beach is the place to be. In 2017, Siesta Key was voted #1 Beach in America by Travelers’ Choice Awards. And that’s not the first best beach in America award this amazing coastal town has received. Siesta Key Beach maintains a tremendous average ranking of 4.5/5 on Trip Advisor’s site. The white quartz crystal sand, amazing sunset viewing spots, lush landscape, and hospitable residents all make this an unforgettable location. And you can easily search the best accommodations in Siesta Key. There are Hotels, B&B, Boutique Hotel, RV Resort, Vacation Rentals, Condos. So no matter your style or wedding party size, you can find the perfect place to stay in Siesta Key Beach. With quaint bed and breakfasts, gorgeous shade trees and miles of white sandy beach, you will never want to leave this charming beach town. CB’s Saltwater Outfitter’s – The largest on-the-water Bait & Tackle Shop in Sarasota. This spot offers Siesta Key Boat Rentals, Fishing Charters, Fishing Tackle, Jet Ski Rentals, and clothing for everyone. A must stop for outdoor adventures and apparel. Siesta Trolley – Have a great time exploring the streets of Siesta via a trolley ride! A perfect way to transport wedding party and guests to and from your beach wedding location or great for a rehearsal dinner! SKOB – Siesta Ket Oyster Bar, or as the locals call it, “SKOB.” A laidback hangout- this place has all you need for the island experience. Fresh seafood, live music, laid back atmosphere and over 21 beers on tap! Walk a few steps down and have a “daiquiri dessert” at the Daiquiri Deck! Clearwater Beach made the top 10 beaches in the world list according to Trip Advisor. Oh, and top 10 beaches in America list by USA Today. And with Siesta Key taking the number #1 beach in America in 2017, Clearwater bumped it’s way to the top for 2018! So just what is it that puts this city at the top of the charts? Clearwater boasts “sugar white sand, tranquil Gulf breezes, and crystal clear waters” and “endless supply of sun, warm weather, and great dining, along with extensive outdoor activities both on land and at sea.” And Tampa International Airport is a favorite among travelers for it’s convenience and ease of travel, just 19 miles from the beach. Water Sports Sailing, Jet Ski Rentals, Pirate Cruises, Dive Tours. There is no shortage of fun to be had on the water! Attractions There is certainly plenty to out on your Clearwater Beach bucket list. Trolley Ride, Moped Rental, Indoor Surfing, Sea Life Safari, the list goes on. Accommodations Check out the city of Clearwater’s accommodations page. Clear checklist of amenities and links. 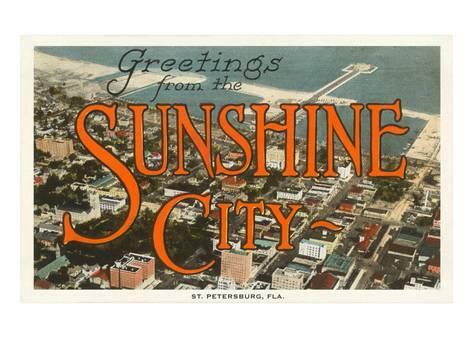 Appropriately nicknamed, The “Sunshine City.” St. Petersburg holds a Guinness World Record for logging the most consecutive days of sunshine – a stretch lasting 768 days that began in 1967. One of the bigger, busier, gulf coast cities means you will not be bored here! Well, unless of course you want to just pull up a beach chair and lounge on the beach all day which sounds like a pretty good idea! You’ll find the signature gulf coast white sand and typically calm blue gulf water. So if it’s a mix of beautiful beach, culturally rich, and variety of activity, St. Petersburg is your spot. Parks There’s the 245-acre Boyd Hill Nature Preserve, the botanical attraction Sunken Gardens, Treasure Island Beach on the Gulf of Mexico, and the historic Weedon Island Preserve. Avid hiker? The Pinellas Trail, a 37-mile hiking/biking trail is the longest urban linear trail in the Eastern U.S.
Arts and Culture St. Petersburg has been ranked the No. 1 Arts Destination for cities its size for three consecutive years. Visit St. Petersburg’s collection of world-famous museums and galleries, including the Salvador Dali Museum , Museum of Fine Arts , The Chihuly Collection , St. Petersburg Museum of History , Great Explorations , and Florida Holocaust Museum , Florida CraftArt , American Stage , The Morean Arts Center , and the Dr. Carter G. Woodson African American History Museum . While there will be two less “fish in the sea” after your wedding day, there is no shortage of actual fishing game in Destin. 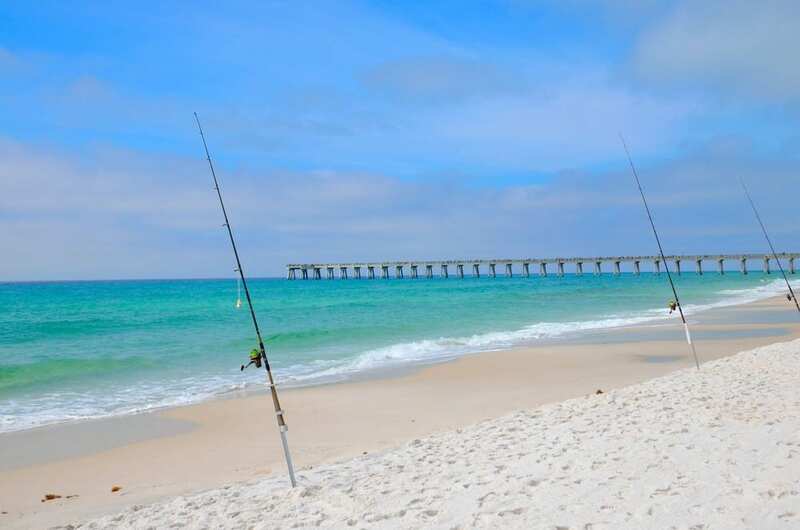 Named the “world’s luckiest fishing village,” Destin is a great spot for catching fish in the gulf. And if fishing isn’t your thing, there are miles of white sandy beach and emerald water for fisherman and land lubbers alike. 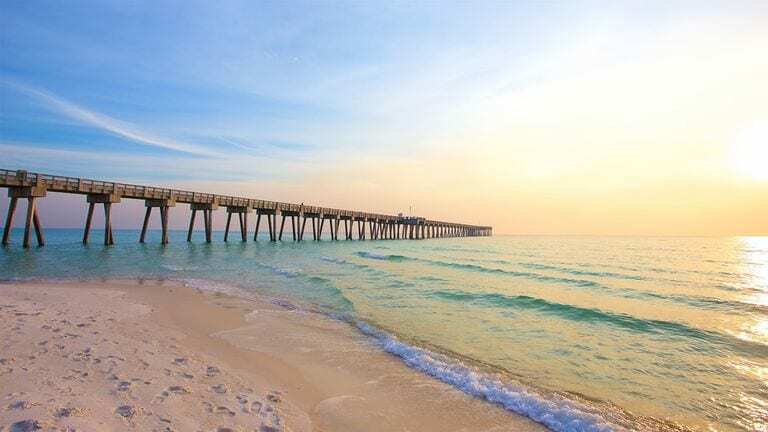 So if it’s nature, outdoors, water activities are your love language, you’ll find Destin a nice break from the busy, entertaining, neighboring cities. Snorkle Spot sting rays, dolphin, nurse sharks (don’t worry, you aren’t on their menu 😉 ), sea turtles and more underwater wildlife. Henderson State Park Hike, swim, picnic, geo tour, or bird watch. And you’ll marvel over the 30 feet tall white sand dunes! Gulfarium Love the idea of getting face to face with wild animals but within the proximity of trained animal experts? You can get close up and personal with dolphins, sting rays, seals, turtles, sea lions and gators! Panama City seems to have the best of both worlds if you’re looking for a balance of entertainment and natural landscape. Beach preservation and appreciation is a clear value of Panama City residents. You can grab a bite on the water or explore concession-free Shell Island for an exclusive island experience. And with 27 miles of beach and over 100 beach access points, there is plenty of beach to enjoy! And This “Vacation Vibe” quiz is on point. Answer 10 questions and you’ll be provided with local Panama City activities that match your vacation style. And to get a idea of what to expect at Panama City Beach, you can check out the dozens of webcams Panama Beach has available streaming live! Entertainment There is so much to do in Panama City. Live music, golf, spas, water parks, eco tours, dance club. So wherever you fit on the scale from nature hippy to disco dancin’ machine, Panama City has something for you. Water Activities Fishing, boating, diving, paddle boarding, jet skiing just name a few of the many water activities in Panama City Beach. Romance Check out this collection of activities and places to visit chosen especially for couples. Whether it’s the spa, a private sailing excursion, or romantic dinner, there are plenty of ways to connect and create lasting memories with your spouse! Ready to exchange your vows and enjoy the amazing beaches of Florida? Contact us to book your Florida Beach Wedding! Or browse our site to check out more photos from real Florida Beach Weddings and find out more about the Best Beach Wedding Locations in Florida!